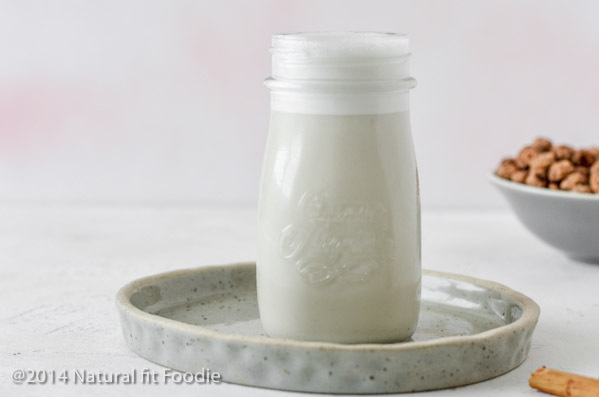 Tigernut Milk Spanish Horchata is the perfect dairy free, nut free, seed free milk! 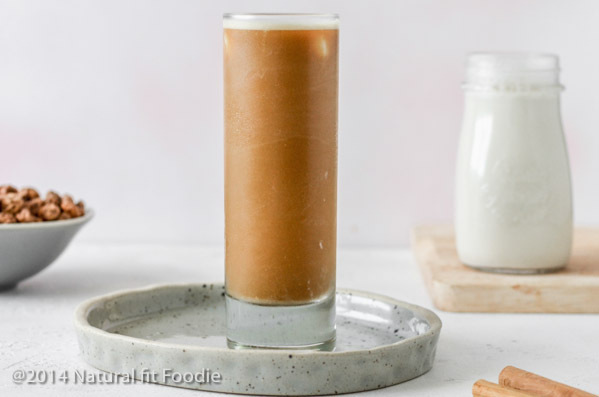 Drink it straight up, add it to your coffee or transform it into a creamy horchata ice cream. I am so blessed to be living in Valencia… Home to paella, Valencia oranges and Chufa known to the rest of the world as Tigernuts. Tigernuts go by many names. The latin name for the product is Cyperus Sculentus or Cyperus Esculentus. In Spain they’re known as Chufa, in Germany as Tigernuss or Erdmandel and in France as Noix Tigre or Couchet. Whatever you choose to call them it’s important to know that Tiger Nuts aren’t actually nuts at all. Tigernuts are small tubers so folks with a nut allergy can enjoy tigernuts freely. 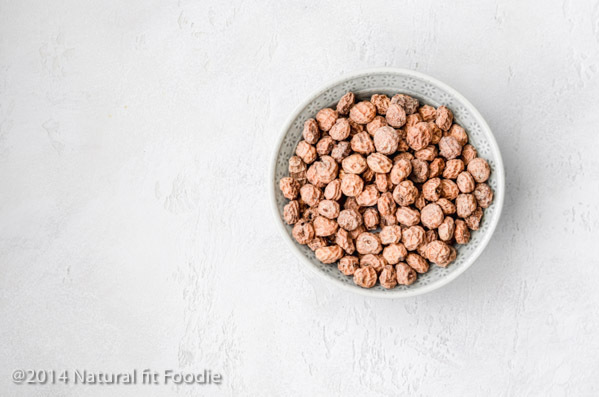 Tiger Nuts have a slightly sweet taste and while they have been a staple food in Spain and Africa they’re just now gaining popularity worldwide. Tiger nuts are hard as a result of being dried after harvesting, but if soaked in water for about 4 hours they are rehydrated and become soft again. Tiger Nuts are rich in fibre, protein, and resistant starch. Resistant starch is a form of starch which passes through the digestive tract unchanged. In other words, it is resistant to digestion. Because resistant starch doesn’t digest into blood sugar, our bodies don’t release much insulin in response. Which means resistant starch can have powerful health benefits. This includes improved insulin sensitivity, lower blood sugar levels, reduced appetite and various benefits for digestion. This is particularly good news for ladies suffering from Insulin Resistance and PCOS. Spanish horchata is a sweetened ‘milk’ beverage made from chufa aka tiger nuts. Spanish horchata is completely different to Mexican horchata. Mexican Horchata is made from rice and often almonds. The province of Valencia has the perfect climate and soil for growing chufa nuts. In fact, Valencia region is the only one in Europe where they are cultivated. There is a folktale that goes something like this – a young woman from L’Horta in Valencia offered King Jaume I a white, sweet drink. The King was very pleased and asked the young woman, ‘¿Qué es això?’ (“What is this?”). She answered, ‘Es llet de xufa’ (‘It is tigernut milk’). The King replied, ‘¡Això no es llet, això és or, xata!’ [‘This is not milk; this is gold (‘or’), pretty girl (‘xata’)! Where do I buy Tigernuts? Tigernuts are available in select health food stores or online at Amazon. 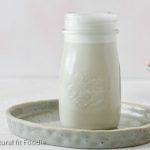 How do I make Tiger Nut Milk? Given that I live in Spain AND in the Valencia region you might be wondering why I make Spanish Horchata at home. Well, for the very same reason I rarely buy nut milks and choose to make my own. Most of the Horchata sold in the supermarkets contain added cow’s milk protein, sugar, fillers, preservatives and the like. Stuff you should not consume for balanced hormones . 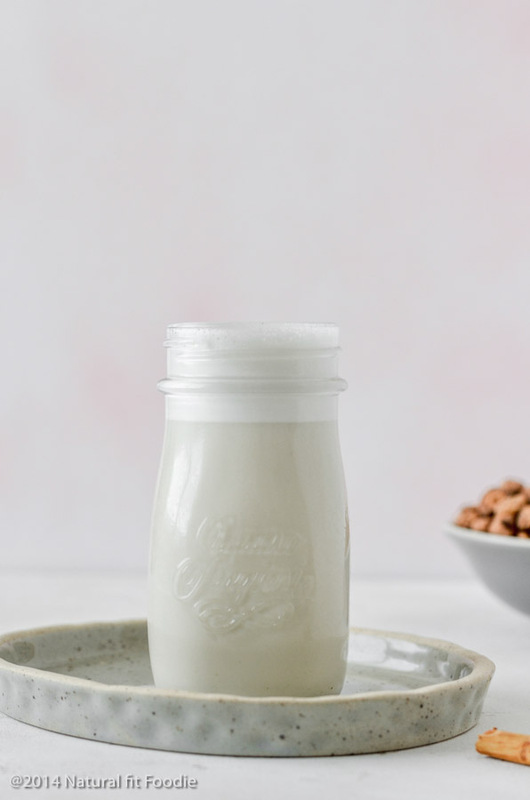 Tiger Nut Milk Spanish Horchata couldn’t be simpler to make. The process is the same for making any nut milk – Soak, Blend, Strain. Don’t throw the pulp out because you can use it to make some amazing pulp muffins! See full instructions in the recipe card below. Soak Tiger Nuts for 12 - 24 hours. Strain and rinse soaked Tiger Nuts after that period. They should be nice and plump. Add Tiger Nuts to a blender with 2 cups of water. Blend on high until the Tiger Nuts are completely dissolved. Strain using a nut milk bag. 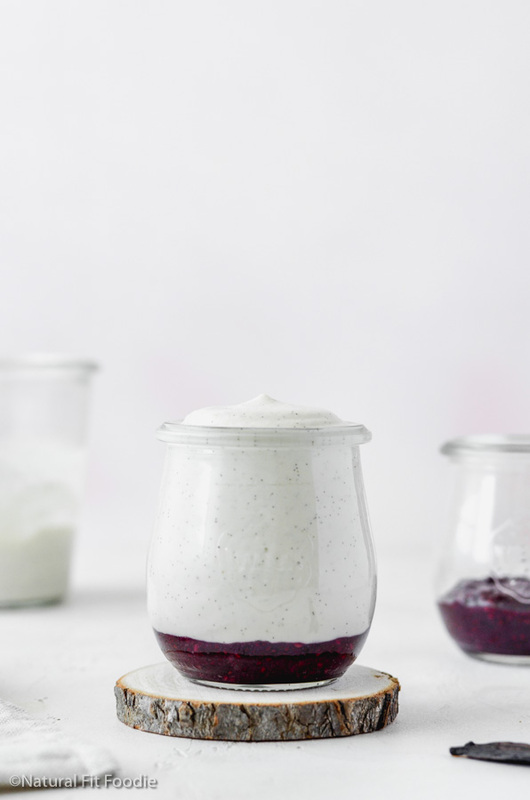 If adding sweetener and spices you’ll want to rinse out your blender, return the strained milk along with flavour enhancers and blend until incorporated. Here’s the story behind my Horchata Iced Coffee: A few summers ago when my family and I were visiting The City of Arts Sciences in Valencia, side note you MUST visit there if you ever come to Valencia. Anyways we had a full day of sightseeing and I was running a bit low on energy. I decided to have a coffee pick me up but alas I simply cannot drink coffee without milk. There wasn’t a single cafe offering dairy free coffee creamers so when we walked by an Horchata vendor I had the bright idea to buy a large cup of ice cold Horchata and add an espresso shot to it. BOOM! It was the most delicious coffee I’d ever had, not gonna lie. Step 2 – Cold brew your coffee or brew your coffee hot and cool it down in the fridge for a few hours. 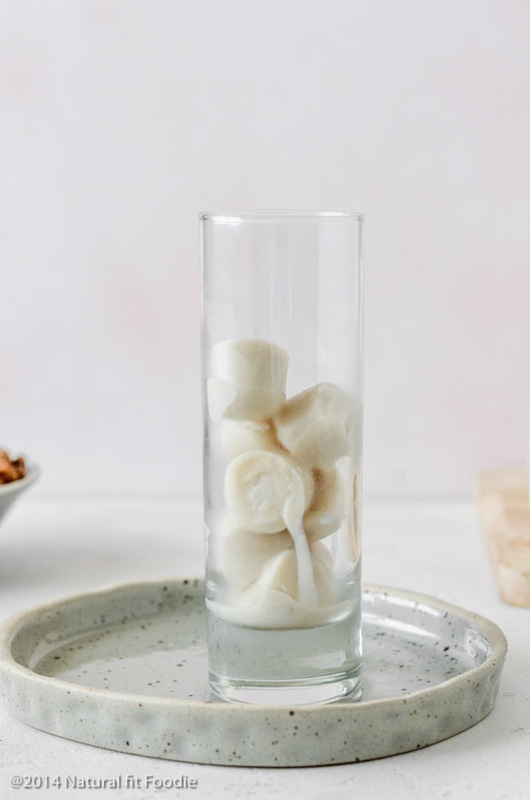 Add Horchata ice cubes and cold coffee to a tall glass. I’ve since learned from Señor Google that in Arizona this drink is known as ‘Cochata’ Although Cochata is made using Mexican Horchata so technically it’s not the same 🙂 By the way I usually swap the coffee for Roasted Chicory Root Coffee Alternative. 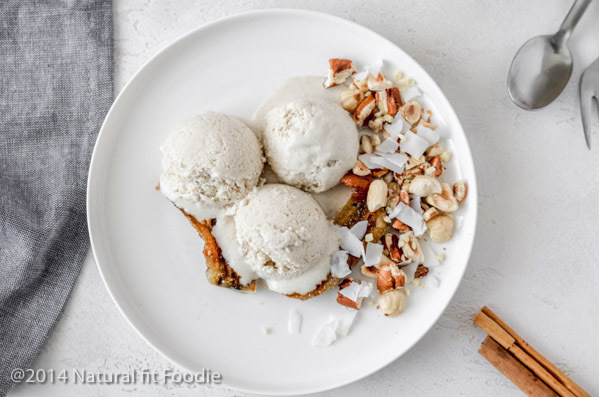 3)Make Tigernut Milk Horchata Ice Cream – No ice cream machine needed! 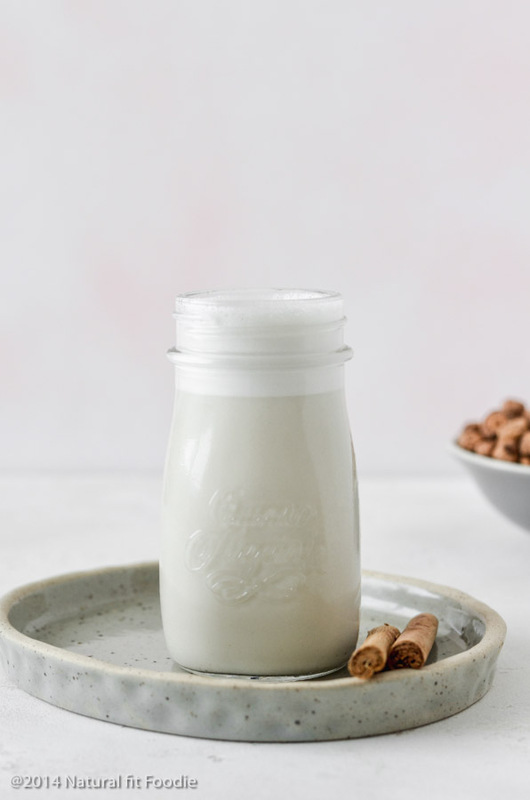 This is hands down my kiddos favourite way to enjoy Tigernut Milk Spanish Horchata. On a hot summer day they simply cannot resist this creamy, dreamy, healthy ice cream. I bet you won’t either! 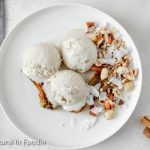 Turn your homemade Tigernut Milk Spanish Horchata into a creamy healthy Ice Cream everyone will enjoy! Blend all ingredients until you have a smooth mixture. Pour the mixture into a freezer safe airtight container and cover. Allow the ice cream to set until firm. Remove it from the freezer and set it on the counter for at least 15-30 minutes before serving. So now you know all about Tigernuts , what do you think? 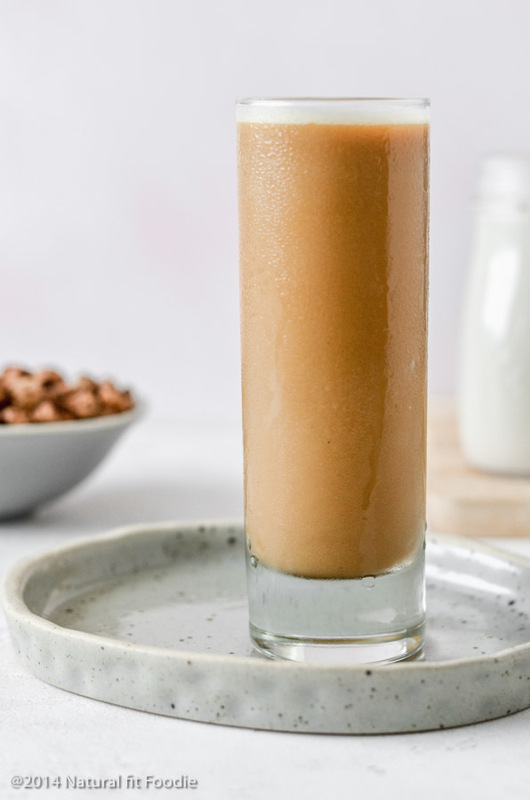 Will you have a go at making Tiger Nut Milk Spanish Horchata? previous: Natural remedies for menstrual cramps you’ve probably never heard of!